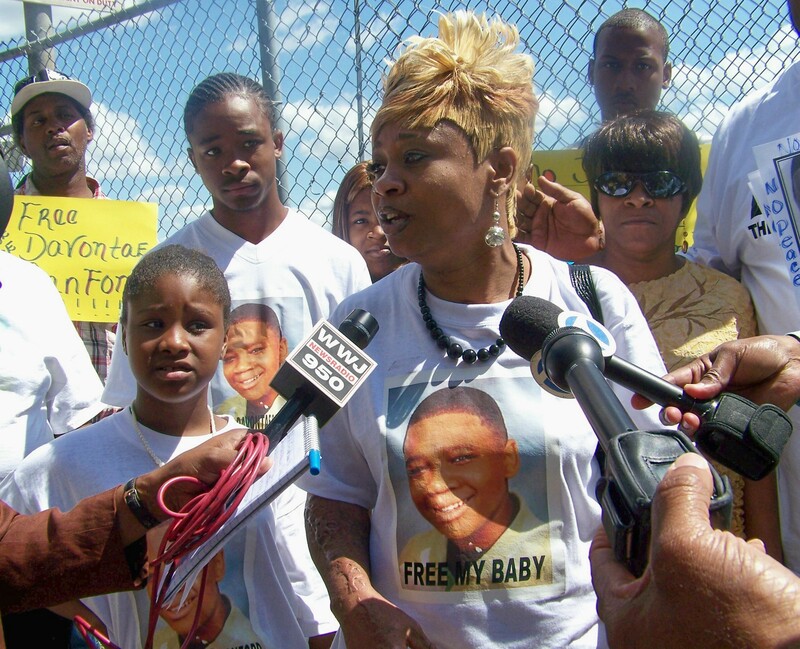 Taminko Sanford-Tilmon is interviewed at rally for her son Davontae outside Frank Murphy Hall June 29, 2010. Click on http://www.blogtalkradio.com/delaproser/2013/12/22/free-davontae-sanford-taminko-sanford-speaks-out to hear interview on latest developments in Davontae Sanford case, featuring his mother Taminko Sanford-Tilmon, paralegal Robert0 Guzman, and Elish Delaproser of the UK. 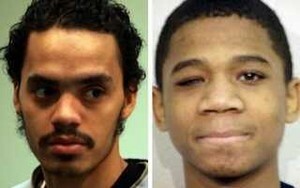 Vincent Smothers (l) has confessed to killings for which Davontae Sanford, shown at the age of 14, is languishing in prison. Smothers has said in an affidavit that Davontae had nothing to do with the killings. Wayne County Prosecutor Kym Worthy has now appealed a ruling by an Appeals Court that Vincent Smothers must be allowed to testify on behalf of Davontae Sanford, to the Michigan Supreme Court. Click on link above to hear an interview with Taminko Sanford-Tilmon, mother of Davontae Sanford, who languishes in prison more than five years after he was induced, at the age of 14, to give a false confession in the drug-house murders of four people. Another man, Vincent Smothers, a confessed professional hit man, admitted to the murders and is willing to testify in the case, but Wayne County Prosecutor Kym Worthy and Circuit Court Judge Brian Sullivan have fought his testimony every inch of the way. An appeals court ruled that the testimony of Smothers and his attorney must be allowed, and remanded the case to Sullivan, but the Prosecutor has now appealed that decision to the Michigan Supreme Court. 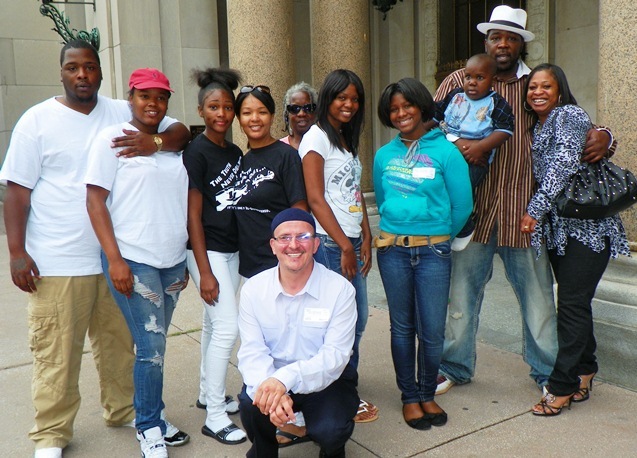 The interview includes original rap songs about Davontae’s case and the plight of other Black youth in Detroit and across the U.S.
Davontae’s family, including mother Taminko Sanford-Tilman and father at right, along with supporters at Appeals Court hearing Aug. 6, 2013. Paralegal Roberto Guzman, who has tirelessly fought for Davontae’s freedom, is shown in center front.